- Strong rear lip for use with louvred panels. - Strong heavy duty with rounded base, sides & stacking rim. - Resistant to most industrial solvents, withstands higher temperature. - Can be stacked one on top of each other. 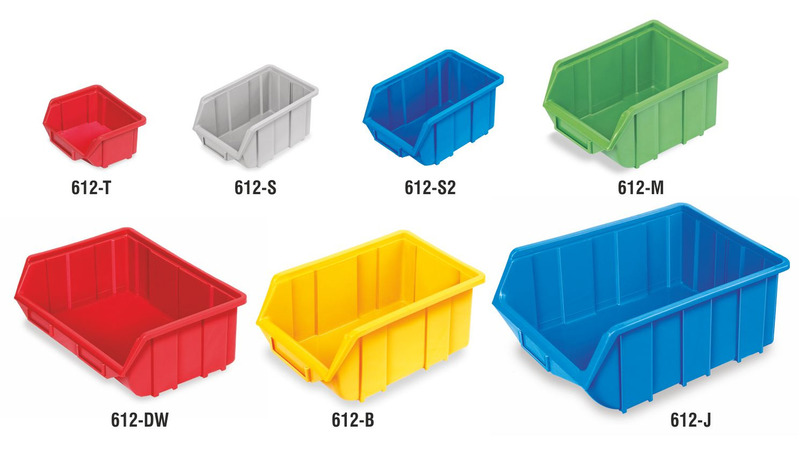 - All bins with identification card holders. - Rounded ergonomic design to give extra strength and sturdiness for storage. Available in 7 sizes : 612-T, 612-S, 612-S2, 612M, 612-DW, 612-B, 612-J. 1. Hippo Bin 612-M & 612-DW Vertical Partitions. 2. Hippo Bin 612-B Vertical Partition. 3.Hippo Bin 612-J Vertical Partition.